Dr Robert F. Rattray was born in Glasgow, and educated at Glasgow University, graduating with first-class honours in English, before moving on to Manchester College, Oxford. After a short period studying in Germany, he spent two years at Harvard completing his PhD thesis on Samuel Butler.On his return to England he entered the Unitarian ministry, becoming Pastor of the Great Meeting in Leicester in 1917. He was a strong supporter of both the adult education movement and the Lit. and Phil. and of the scheme, promoted by the Society among other organisations, to establish a University in Leicester. In early 1921 he was approached to be the planned College’s first Principal and in May 1921 he was appointed as the first Principal of the Leicester, Leicestershire and Rutland College (later University College, Leicester). His impressive academic record and proven teaching experience at the Workers’ Educational Association made him a popular choice for the post. Rattray joined the Lit. and Phil. on his arrival in Leicester in 1917. In 1920, already well-established as a teacher and writer on philosophy, his first major contribution to the Lit. and Phil. 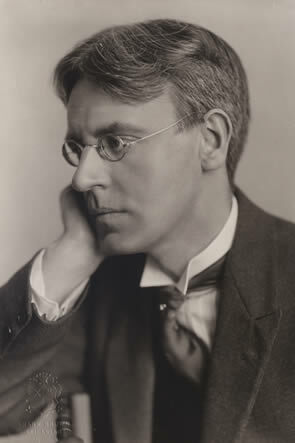 was to assist in the setting up of a new Philosophy Section in 1920, with Rattray as its first Chairman. In its first year, 1920-21 Rattray gave a course of six lectures on “Some Fundamental Problems of Philosophy, which attracted an average attendance of 33, and the following year he gave a second course of eight lectures on “modern” (i.e. not classical or medieval) philosophers, covering Descartes, Spinosa, Leibnitz, Locke, Berkeley, Hume and Kant. Rattray quickly moved on to the Presidency of the Society in 1924-25. He remained at Leicester as Principal of the University College until 1931 when he moved to Cambridge to become Pastor of the Unitarian Memorial Chapel, and remained in Cambridge after his retirement through to his death at the age of 81. In his ten years at the Leicester University College he had served the new institution admirably, striving towards academic excellence, whilst having to negotiate financial constraints and difficulties.